What makes music timeless? I’m guessing it has something to do with the inherent quality of having exactly the same emotional resonance played then or now. It’s the way that sounds conspire to suggest emotions and ideas which resonate throughout each subsequent year. Never fading or losing impact. If they do then perhaps they weren’t quite so timeless. 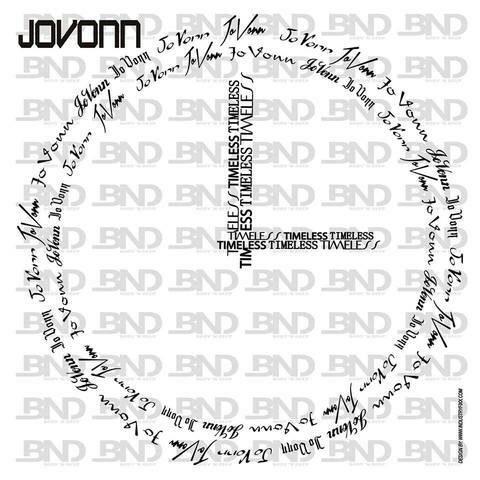 Jovonn’s new collection of music poses those sort of questions because their unfussy succession of classic sounds echo from the 1990’s to today. Drums, bass and the human voice all feel reassuringly familiar yet cutting such as on the almost opening, Affection which quickly becomes an addictive listen. The self-explanatory, Party In My House contrasts with techier, tougher rhythms offsetting the grainy vocal delivery, while the soulful refrain of Turnin Me Out gets down to it accessing a sleazier vibe. The excellent L Speex is more playful with frisky percussion and timely piano injecting the letters HOUSE into the equation. Which leaves the rather beautiful, eloquent title track to answer it all care of smoky horns, low-slung liquid bass plus more emotional punch than many could muster. Timeless.